There’s a reason that families love coming to the Poconos Mountains! It’s because there are so many fun things to do! And while we don’t have room to tell you about all of the fun activities the Poconos have to offer, we’d like to highlight at least some of our favorites. Because we’re headed into the summer season, we’ll focus mostly on some of the great outdoor activities you can explore. If you have school-aged children and are thinking about building a new home in the Poconos, there’s little doubt that the schools in the area will be high on your list of important considerations. Here’s a guide to Poconos schools that will provide you with some of the essential information you’ll need to know. 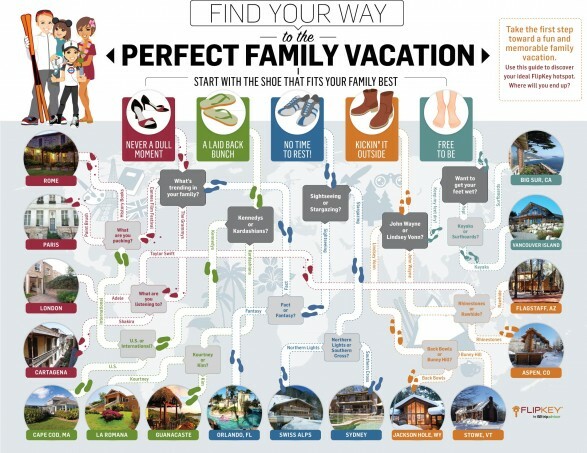 OrlandoVacation.com conducted a survey to find out how families plan for their vacations. Over 60 families participated in the survey, and these were their responses. With some tips and suggestions from OrlandoVacation.com, we hope that your next family vacation is a fun one! Planning the perfect multi-generational vacation can be stressful, and yet that summer vacation wouldn't be the same without the whole family. Whether you're looking to vacation in Upstate New York, The resorts in the Poconos or you're thinking about building your own vacation home in these areas this infographic from Flipkey can help you with your vacation.